Started in 2011, the Grand Forks Credit Union Community Endowment began as a commitment from the Credit Union (gfcu) to build a self-sustaining grant fund for the Boundary Region. As of May 1, 2018, the fund sits at $800,000, 80% of its final goal - $1,000,000. The money from this fund is securely invested, and its annual returns are available for granting opportunities each year. As the returns will depend on market conditions, the amounts available will vary from year to year. Regardless, this fund will garner a substantial investment in our community's future projects and innovations, with an overall goal of improving quality of life for residents in the Boundary. The Foundation and Credit Union have aligned some of their key values and goals to ensure that the delivery of grants through this fund represent true Community Investments. Ones that will build value in the areas that both organizations see true impact on quality of life. This endowment is just one way gfcu is funding initiatives here in the Boundary. 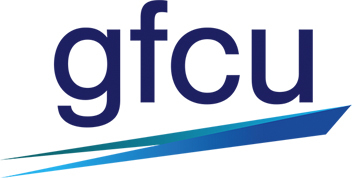 gfcu also directly disburses and administers various grants independently. To learn more visit the fall cycle granting page. Privacy Legal Accessibility Member Feedback Mastercard © 2018 Grand Forks Credit Union. All rights reserved.